Those who seek more space in their home may not have to look further than their basements. Finished basements have become a popular way to gain extra space, add resale value and keep homes modern. In as little as two weeks, your basement can turn into a beautifully designed room that can serve multiple purposes. Greg Griffin, basement designer at Alure Home Improvements, noted that it’s now one of the most popular requests he receives. “Basement renovations are especially common – so much so they are now big business,” he said. Here’s why so many people have been planning this kind of home improvement project. Your basement can become your new favorite room. 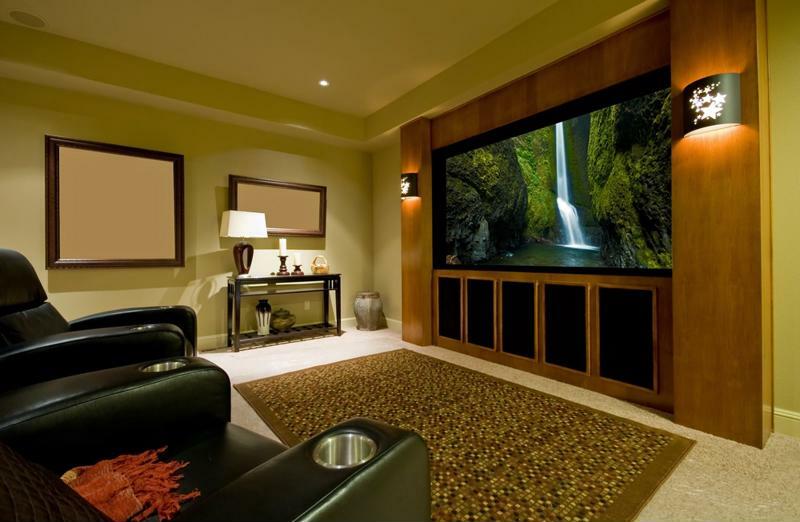 One of the most popular reasons why people choose to finish their basement is to achieve more space in their home. “A recent trend over the last 10 years has been that basements are being set up with high ceilings, preset plumbing for bathrooms, and emergency and convenience entries and exits – all with the intent that the basement will become a functional floor of the home,” said Griffin. What they choose to turn the basement into is largely dependent on their needs. If the number of people in the household is expanding, a finished basement could help with room rearrangement. Maybe it will serve as the new family room and the existing one could turn into a master bedroom. Others simply want to build a home office, gym, theater or man cave. After the basement renovation, what was once a storage space could turn into your favorite room in your house. Your home is an investment. Many of the improvements you make to it can help add value when it comes time to put it on the market, and finishing your basement is one renovation that typically pays off. “A new functional floor of the house adds substantial square footage and great return on investment,” said Griffin. Not only will you be able to reap the benefits of the new room, but it eventually helps put money back in your pocket. A freshly renovated basement, complete with sofas, entertainment systems and even bathrooms are all the rage today. If you’re looking to modernize your home and stay on top of the trends in home improvement, your basement is a great place to start.